An organization’s data is constantly under attack. Whether it’s through ransomware attacks, cyber-threats or employee misguidedness, all expose organizational data and put data protection and privacy at risk. Encryption and access control are the keys to securing data and cyber resiliency, but most storage systems throughout the infrastructure (primary, secondary and protection storage) treat security as an afterthought, reducing flexibility and increasing complexity. 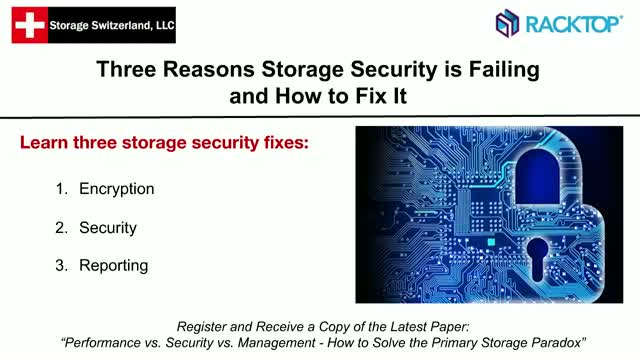 In this live webinar we will discuss the three reasons why storage security is failing and how to fix it.